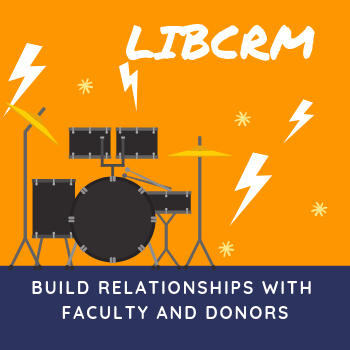 LibCRM is a Customer Relationship Management platform built for the specific needs of libraries. Offer a superior customer experience by gaining a better understanding of your users and their needs. Tracking relationships and interactions with faculty, students, staff, and partners. Assigning tasks, running activity reports, reviewing a full history of interactions. Ideas on customizing the library experience and services for your users based on the history of previous interactions.